I follow Nieman Reports and NiemanLab to know everything that’s happening in digital journalism world. Very recently I found out that they publish books. 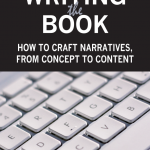 So I picked Writing the Book, How to Craft Narratives, from Concept to Content as my first read. It’s an anthology of essays written by journalists on how they can became authors. It’s an interesting read and covers variety of cases. Book writing is difficult even for professional journalists, that’s the common point across all essays. But whats more shocking is how difficult it is for them to get their book published. I always thought it’s probably easier for journalists than others. Another common theme is how digital/self publication saves the day for many. I learned, too, in this process that my early mentor’s advice was wrong. A captivating, well-reported story can be the right place to start out. What transforms journalists into nonfiction authors is the heft of their voice, the narrative arc of their idea, and its marketability. These aren’t lessons that tend to be reinforced on the way up the newspaper ladder. This also turns out to be a cautionary tale for old newshands trying to make the transition to writing books. I’m writing this so you know this is the hardest thing I have ever tried to do. It takes soul-risking hustle and soul-exposing humility, a combination that comes from being rejected repeatedly yet somehow still believing that the ultimate goal is bigger than you or your bruised ego. It takes passion—a downright obsessive love for your subject and belief in its value. And it takes being blessed. It’s not something to undertake just because you think books might be a better bet than newspapers right now. Years later, my journalism took a similar path—whether I was writing about homelessness or AIDS or class and gender disparities, I was actually writing about power—who in our society has it, how it is used against those who don’t, and what the strategies of resistance are. Aspiring authors talk craft. Established authors talk business. The biggest shift in going from journalism to books is not from scribe to artist, but employee to entrepreneur—suddenly self-employed, with no benefits, no expense account, and no security. Your mission is to become a brand, figure out how to market it, and then reapply for your job every year or two with a new and enticing proposal for a publisher. Covering this court reminded me of my days reporting on the armed forces during the waning years of martial law in the early 1980’s. Under the authoritarian ruler Ferdinand Marcos, it was hard for the press to penetrate the military. It was a strictly guarded and fortified camp and the lips of the men in uniform were sealed. Their culture was to follow orders, not to speak their minds.